Description: Click at the identical unlocked items to delete them. The item is unlocked when its two adjacent sides are opened. You win when all items are deleted. 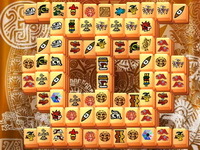 Twenty levels, impressive quality graphics, relaxing music are main features of this free mahjong.